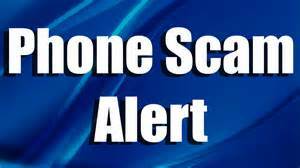 The Liberal Police department and the Liberal Senior Center has been made aware of a phone scam targeting Liberal Senior Citizens. The caller(s) have been contacting seniors in Liberal, identifying themselves as being from the Liberal Senior Center, then proceed to ask them for their Social Security number and other personal information. This is a scam! The phone number being used comes up as 702-257-7626. The calls are being generated out of Las Vegas, and are in no way affiliated with any with the Liberal Senior Center. The Liberal Police Department reminds citizens to never give your personal information out over the phone, and to report all suspicious activity.